P&G issued its 2018 Citizenship Report, which highlights activities that define the Company as a force for good and a force for growth. CINCINNATI--(BUSINESS WIRE)--The Procter & Gamble Company (NYSE:PG) extends its long history of doing good in the world by bringing the comforts of home to those impacted by disasters, continuing to spark conversations about diversity, inclusion and gender equality with its advertising and making meaningful impact on the environment with new 2030 goals including a vision to ensure that none of the Company’s packaging ends up in the world’s oceans. 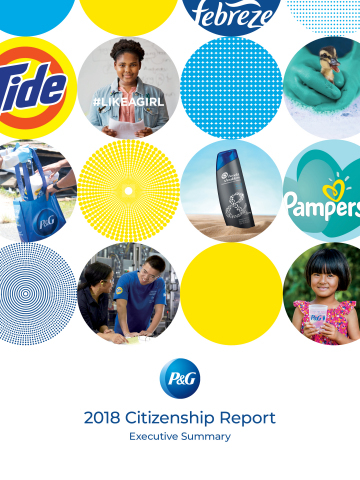 Captured in the 2018 Citizenship Report released today, P&G highlights the recent activities that define the Company as a force for good and a force for growth. “Our aspiration is clear. We want to be a force for good and force for growth. We know that the more we integrate and build Citizenship into how we do business, the bigger the impact we can make with the people we serve, the communities where we live and work, and the broader world that surrounds us. In turn, this helps us grow and build our business,” said David Taylor, P&G’s Chairman of the Board, President and Chief Executive Officer. Community Impact: This year, the Company celebrated a milestone with its Children’s Safe Drinking Water Program, distributing its 14 billionth liter of clean drinking water to those who need it most. P&G’s brands played an important role in helping those impacted by natural disasters such as the hurricanes Harvey, Irma, Maria and Florence, and our Tide Loads of Hope program washed more than 3,800 loads of laundry to help bring a sense of normalcy to those suffering the effects of natural disasters. Diversity & Inclusion: P&G sparked important conversations around equality with two award-winning films: “The Talk” about racial bias and “The Words Matter” about LGBT+ inclusion. 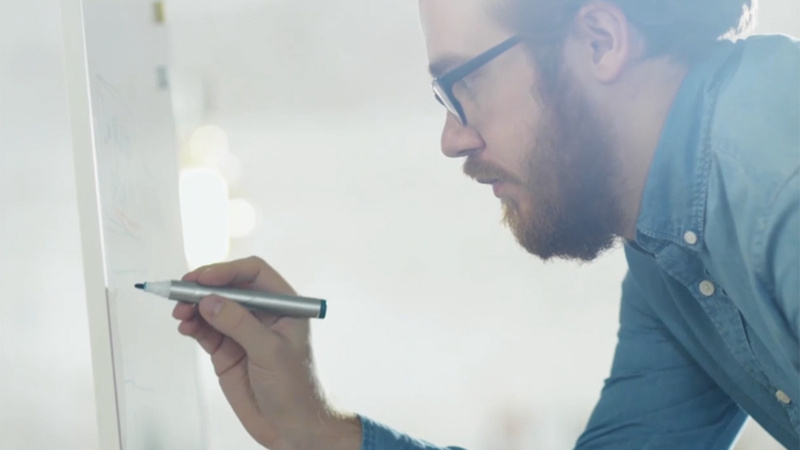 Its brands launched multiple advertising campaigns that include positive portrayals of diverse families and individuals. Internally, the Company introduced additional benefits to modernize employee parental leave policies as part of its Flex@Work program. Gender Equality: As a leader in using its voice to call attention to gender equality, P&G created a thought-provoking new exhibit, “Women at Work: Myth vs. Reality,” which challenges outdated thinking about women in the workplace. It also partnered with Sesame Workshop and the Muppets to set new expectations about gender for boys and girls around the world and introduced a range of new brand advertising campaigns championing equal voice and equal representation for all individuals. Environmental Sustainability: In April, the Company announced ambitious sustainability goals for 2030. Having already achieved many of its 2020 goals for climate, water and waste, P&G’s Ambition 2030 framework focuses on where the Company can make the biggest positive difference – with its brands, supply chain, society and employees. The Company has renewed its focus on plastic waste and many of its brands are stepping up to increase the recyclability of packaging and use more recycled material. “For more than 180 years, the Company has been touching and improving lives. It’s who we are. It’s what we do. And it motivates us to do more and be a force for good and a force for growth in the world,” said Taylor. The Executive Summary, a 24-page overview of the progress and stories is available online as well as a detailed version of the report. David Taylor’s video discussing the progress on Citizenship can be found online here. P&G published a Sustainability Report annually since 1999 but expanded it beginning in 2016 to include a more comprehensive overview of the Company’s Citizenship priorities.